Formula One is back – Opening race from Melbourne, Australia. This season brings so many changes to the cars that the whole field may be shuffled. We’ll know after the race on Sunday who the front runners this year will be. UPDATE: Great race. Kudos to Brawn GP. Spring Break – Nice having everyone gone for a week. 1st Level Tech Support – How can you explain a DNS problem to a support tech who doesn’t know what DNS is? Only GoDaddy does it right. Dad – Still making impressive progress. He’s in a nursing facility now, but it’s much more comfortable than the rehab hospital and they’re being more aggressive with his rehab, which is also good. Prehistoric Road Maintenance II – Didn’t take long for a rock to find my fender. Sarah’s New Book – This represents over a year of hard work. Between this new volume and her original book, the vast majority of historical novels are now indexed, classified, and described. I know I’m bragging, but she deserves it. Prehistoric Road Maintenance – This week it seemed every road I drove on had holes and cracks patched with oil and loose pea stone gravel. I really need to get some pictures of the idiotic way the state of Illinois patches roads. They spray a little bit of thick oil on the crack or hole and then blow in 1/4″ pea stone. They always use way too much pea stone and the first time someone runs over it, it gets scattered everywhere. Then it gets tossed in the air to chip paint and crack windshields. The really stupid part is that it doesn’t last a week. The crews are back at it on the same roads week after week. If I knew whose idea it was to do it this way, I’d sit outside his/her house with a bushelful of these stones and a slingshot and plink away at whatever car they drive. I just hope we’re not throwing away our stimulus money on this nonsense. My 2006 Z4 3.0si – This car is a beast. It’s fast and corners like it’s glued to the road. I’ve been having a blast in it for a week now. Best of all, it gets great gas mileage on top of being fun to drive. I’m hoping this is a sign that the week ahead will be better than the week behind. This has been a very sad week with little upside. There have been shooting rampages in Alabama and Germany, and a pastor shot and killed in Illinois. And while all those incidents are horrifying, they don’t strike home as deeply as the loss of a loved one. Sarah’s Grandma, Sylvia Orman, died Wednesday at the age of 96. Sylvia was one of those special people you meet in life who seem to lack even a trace of malice towards anyone. She was amazingly active and sharp of mind right up until the last few days of her life. My parents thought the world of her and looked forward to seeing her whenever they visited Sarah’s parents in Connecticut. Christmas and barbecues in CT won’t be the same without her. I’ll miss her. …we were in Bermuda. Seems like centuries ago. I’ve joined the ranks of the obnoxious. I figured if you can’t beat ’em, join ’em. 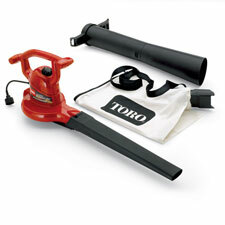 I bought a leaf blower. It’s a powerful beast, too. Like wielding a tornado. I learned a few lessons my first time out with it. I went prepared with glasses and earplugs, but I forgot a hat. I was clearing out the leaves and old birdseed near the walkout behind the house and then had to spend some time cleaning birdseed out of my hair afterward. Live and learn. Springtime is here – Into the 70s today. Loved every minute of it. I left work early just to get out and enjoy it. 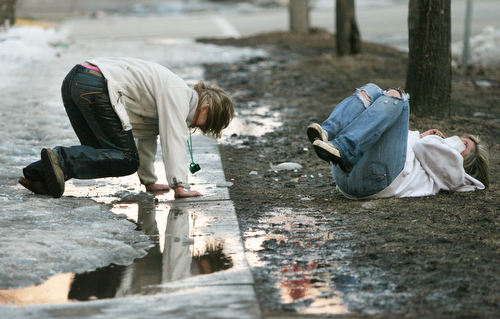 “Unofficial” St. Patrick’s Day – Annual excuse for student drunkenness and stupidity. Thank the greedy bar owners who started and continue to promote this nonsense. Team Brawn? – Looks like former Team Honda will be back in Formula One this year, albeit with Mercedes engines. Not sure what the team will be called yet, but former Ferrari guru Ross Brawn bought the team outright. Rubens Barrichello and Jenson Button will return as the team’s drivers. Dad – Walking several laps of the hallways now and climbing stairs. Still looking good for him to be going home soon. Boston Bruins – 3-5-2 in their last 10 including three consecutive losses. They’re still in first place in the Eastern Conference, barely. You are currently browsing the weblog archives for March, 2009.